Another week of spring break for some teams means fewer games for all of us to follow, but there still are some good matchups to mark on your calendar this week. After a significant win over then-No. 1 Palos Verdes last week, Redondo Union (9-1) plays host to Crescenta Valley on Tuesday. The Falcons (8-1) are coming off a dramatic one-goal victory over Chaminade that came on the heels of a tough, one-goal loss at Westlake. Wednesday, Oak Park (6-4) travels to Westlake looking for its first win against a Top 10 opponent after losses to Crescenta Valley, West Ranch, Chaminade and Redondo Union. The Warriors (9-1) have two wins over LA Top 10 opponents. Thursday, brings a rematch between Chaminade and Marlborough. The Eagles (8-3) beat the Mustangs (3-5) 11-10 earlier this season. No. 5 Crescenta Valley at No. 1 Redondo Union, 5:30 p.m.
No. 4 Glendale at No. 20 Thousand Oaks, 5 p.m.
Royal at No. 16 Birmingham, 4 p.m.
No. 11 Oak Park at No. 3 Westlake, 6:30 p.m.
No. 17 Marlborough at No. 7 Chaminade, 3:30 p.m.
No. 9 Agoura at No. 19 Simi Valley, 7:30 p.m.
No. 16 Birmingham at No. 5 Crescenta Valley, 4 p.m.
No. 12 Oaks Christian at No. 8 Newbury Park, 6:30 p.m.
No. 20 Thousand Oaks at No. 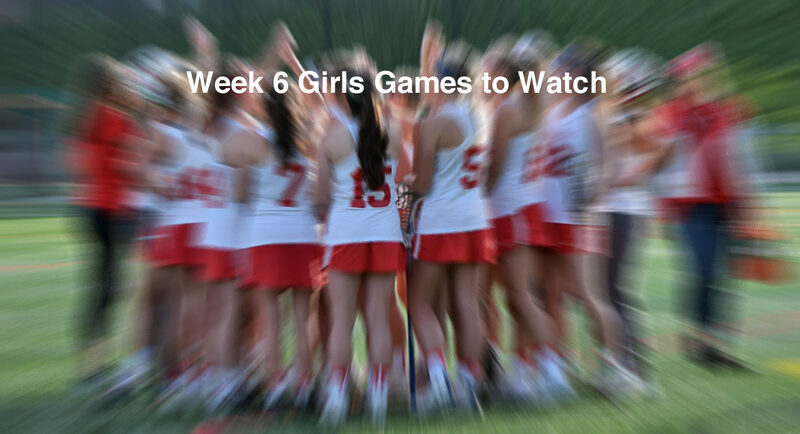 3 Westlake, 6:30 p.m.
Westlake head coach Lyndsey Munoz is sharing with MaxLaxLA a weekly look at the top girls games in the area in an effort to encourage fans of the women’s game — especially younger players — to attend games to watch and become inspired in person.